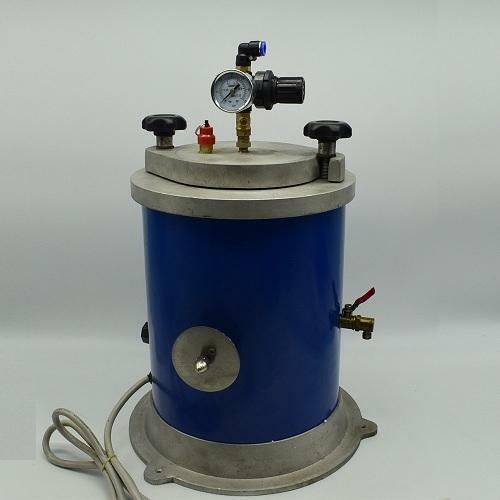 We are one of the most well-distinguished companies in the market that are into offering Mini Air Pressure Wax Injector. Jewel Cast is the highly recognized name of the industry, which has marked an enviable niche in the industry within the very short duration of its establishment in the industry. Established in the year 2013, our company has started its business as a sole proprietor. Ever since the establishment, our company is engaged in manufacturing the premium quality range of Automatic Burnout Furnace, Polisher Dust Collector, 5 Flask Investment Mixing Machine, Magnetic Polisher, Ultrasonic Cleaner and many others. We have adopted ultramodern production techniques, which enable us to cope up with the rising industrial challenges staying a step ahead of our close business competitors. Moreover, strict quality control measures are also adopted by us, following which, we ensure making defect free supply of the whole assortment.